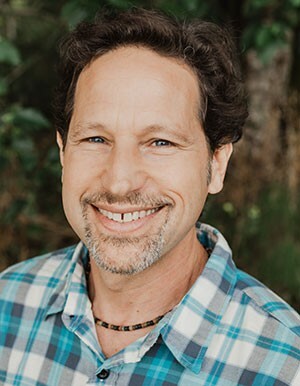 David Lerner, M.TCM, EAMP, has been a Licensed Acupuncturist since 1994, and he is nationally board certified (NCCAOM) in acupuncture and Chinese herbal medicine. In '97 David completed post-graduate training at the Beijing Cancer Institute and the Chengdu university of TCM where he trained with doctors specializing in oncology, gynecology, gastroenterology and dermatology. In '09 David completed advanced training in the ETMS integrative oncology system with renowned Nutritionist and Master Herbalist Donnie Yance and integrative oncologist Dwight McKee, MD, and he continues ongoing study and regular consultation with them via a monthly oncology tumor board case review group. In ’10, David received his Diploma in Comprehensive Nutrition from Huntington College of Health Sciences, and in '16 he trained in The Bredesen Protocol, taught by Dale Bredesen, MD, an evidence based treatment designed to improve, prevent or reverse cognitive decline. David is an approved provider with their organization, MPI Cognition. David was a clinical and didactic faculty member at NIAOM (Northwest Institute of Acupuncture and Oriental Medicine) from 2000-2003, and was the staff herbalist at the Kang Wen chronic illness clinic from 1999-2002. He has been a guest lecturer at the Jade Institute and Bastyr University. He co-authored a paper that was published in Clinical Perspectives in Gastroenterology titled "The Use of Chinese Herbal Medicine in Gastroenterology and Hepatology", as well as a paper on the benefits of vitamin D that appeared in the Puget Sound Oncology Nursing Journal. Utilizing acupuncture, sometimes in combination with herbal and/or nutritional medicine, David treats a wide variety of disorders with a practice focus on acute/chronic pain conditions, sports injuries, auto injuries, fertility/hormone balance, supportive oncology care and mood disorders. He is a preferred provider for various insurance companies including Regence/Uniform, Premera, Lifewise, Aetna, Kaiser and L & I. In addition to David’s acupuncture practice, he also works with the physicians at Heart of Wellness, treating patients based on the foundations of functional medicine. Prior to that, from '10-'15, David treated patients in conjunction with Evan Hirsch, MD at The Hirsch Center for integrative Medicine, where he received extensive experience in functional medicine protocols. This style of care typically utilizes advanced lab analysis to create a customized treatment plan, based on the patient’s biochemical individuality, with an emphasis on searching for the root cause of illness. It is particularly well suited for patients with chronic, debilitating illnesses including cognitive decline, supportive cancer care, metabolic syndrome/diabetes as well as lipid, digestive, autoimmune/immune, hormonal, mood, and gynecological disorders. David is very comfortable interfacing with conventional medical practitioners, has a vast referral network, and a good sense of how to best utilize the various schools of integrative medicine. He is passionate about combining the innate wisdom of Oriental medicine with targeted protocols relying on evidence based data. David can be seen at the Heart of Wellness clinic in Tumwater, Wa, Monday through Thursday. If you’d like to schedule an appointment, please call 360-570-0401. David discusses cancer prevention strategies using natural medicine on the Everyday Acupuncture Podcast.